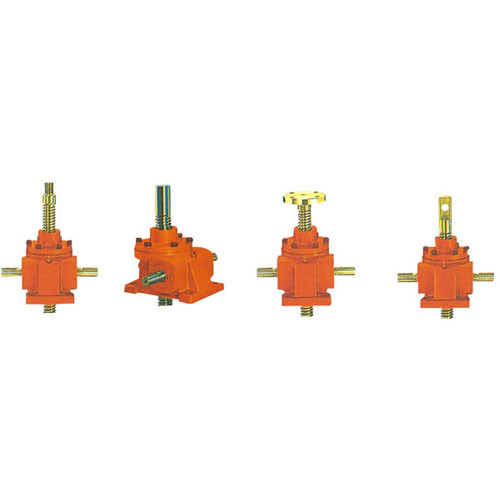 Worm gear screw jacks are used for lifting, lowering, traversing and swinging applications. Wide varieties models and large range of lifting forces facilitate large end applications. We are equipped with advanced in-house manufacturing system with highly developed machinery that ensures faultless products. *) The holding torque is the torque on the input shaft which is required to prevent the load from being lowered. SWL series worm screw elevator, screw jack, lift.